There have been many developments in the foreign exchange trading market over the last two decades. Several foreign exchange platforms have been implemented by various Forex market role-players. Let’s examine the advancement in trading platforms. Forex retail platform and online forex platform trading is a segment of the larger foreign exchange market. It's been said that this foreign exchange platform actually represents more than 2% of the entire forex market. There has been a substantial shift in the way that business is conducted on the foreign exchange market. A gradual movement away from the traditional intrabank trading method on “paper” has occurred, and today more and more implementations of more advanced and accurate electronic trading is in place. A huge surge in the development of trading software in the Forex market has caused massive increased productivity, accuracy and gained profits. These developments have provided various new types of trading platforms and Forex tools that are used by banks, portfolio managers, retail forex dealers and retail brokers. One of the most important tools required to perform a forex transaction is the trading platform providing retail traders and brokers with accurate currency quotes. Since 1996, at the start of retail forex trading, several forex dealers and brokers started developing and implementing their own trading platforms tailored to suit their own specific needs. This period of self innovation of FX trading platform, is referred to as the first wave. These innovations required frequent investments in research and development and the cost of these innovations were very high. This also signaled the birth of the online forex platform. Several software development companies entered the retail forex trading market field in the early 2000’s. These software companies introduced several versions of their own FX trading platforms. These FX trading platforms were inefficient and bothersome to use by both the front-end users (retail Forex traders) and back-end users (retail forex brokers). The software programming tools and development languages of the time was also lacking. This situation forced Forex traders to develop and implement their own currency foreign exchange platforms, while they waited for the technology to improve. 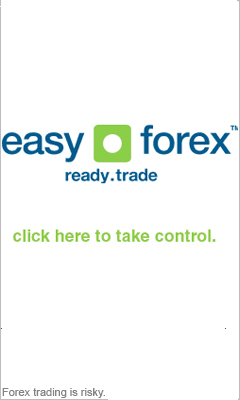 There are currently almost no FX traders which were part of the first wave of Forex trading platform systems. Today, most of the first wave FX dealers and brokers have disappeared, merged or upgraded to the second wave trading forex retail platform. A common example of a second wave trading platform is Metaquotes. Advanced Retail platforms have only recently emerged throughout the foreign exchange market.